Shepherdstown, WV – The Eastern West Virginia Community Foundation (EWVCF) awarded $2,000 to the Jefferson County Historic Landmarks Commission (JCHLC) in November. The grant was given by the Foundation’s Two Rivers Giving Circle, which fully funded JCHLC’s request. The generous award funded further site stabilization of the historic Cement Mill kilns located near the intersection of River Road and Trough Road east of Shepherdstown. JCHLC owns the property and has worked over the past several years to stabilize the historic site, a vestige of Jefferson County’s industrial and military history. Since 2011, the Cement Mill site, also known as “Boteler’s Mill” has been a central project for JCHLC. 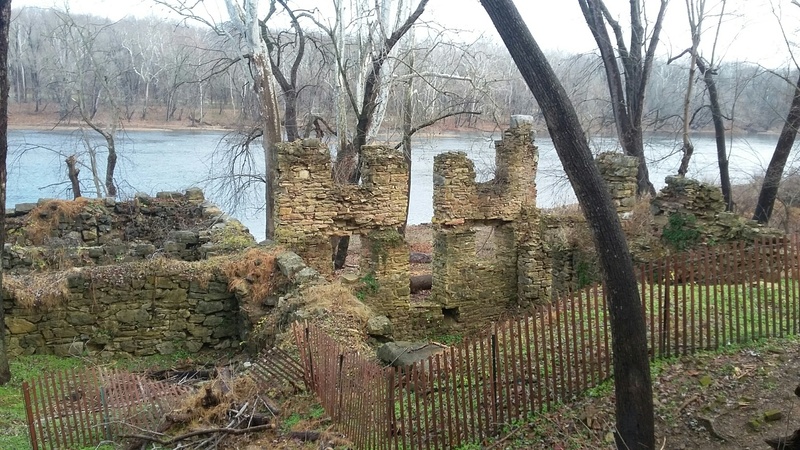 The 187-year-old ruins, which includes the mill building complex, original kiln and battery of kilns along the Potomac River. JCHLC initially began to stabilize the site, removing dead trees which threatened the ruins, installing protective fencing and landscaping activities in the summer months of 2016. With a very limited budget, grants such as the recent award are critical to facilitating this work and will be utilized for additional stabilization activities which will push closer to public use and interpretation. EWVCF’s Two Rivers Giving Circle—named for the confluence of the Potomac and Shenandoah rivers—brings together committed, concerned and charitable citizens to focus on local conservation and preservation grant making in the Eastern Panhandle. The Eastern West Virginia Community Foundation is about Local Leadership… overseeing Local Assets… meeting Local Needs. Their mission is to improve the quality of life in the Eastern Panhandle by building permanent endowment to benefit Jefferson, Berkeley, Morgan, Hampshire, and Hardy counties.